Shelly this is awesome. Love the scene. Very creative. What an adorable card. The interactive squirrel is just so cute. Lovely stamp set and very creative. This is adorable Shelly! Love interactive cards! I'm going to try to participate in this one. Love your little critters. 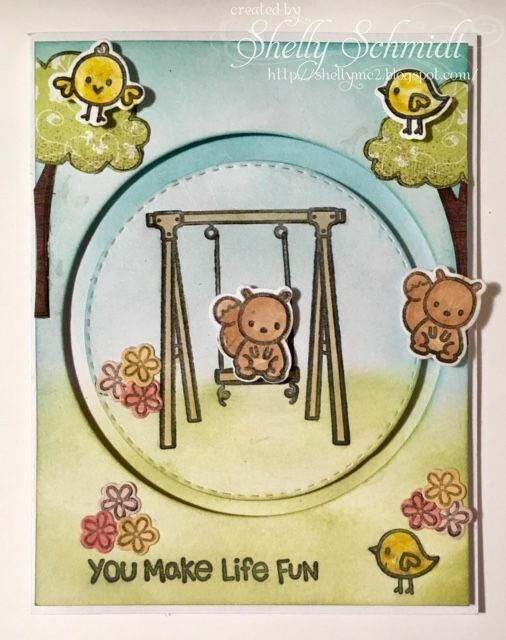 Lawn Fawn has lots of fun things! How cute! Love those happy little squirrels! I love interactive cards, Shelly, but I'm far too intimidated by them to even think about making one. :-D Love this one with the darling little moving squirrel ! 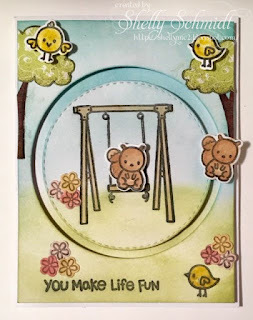 Such a fun card, I love all of the squirrels and fabulous design! Fabulous card, Shelly!! Love your scampering squirrel!! My yard is full of them! !